Volunteers from across the country typed the text from scanned yearbook pages using Transcribe Our Past, a crowdsourcing website created by the University Libraries. 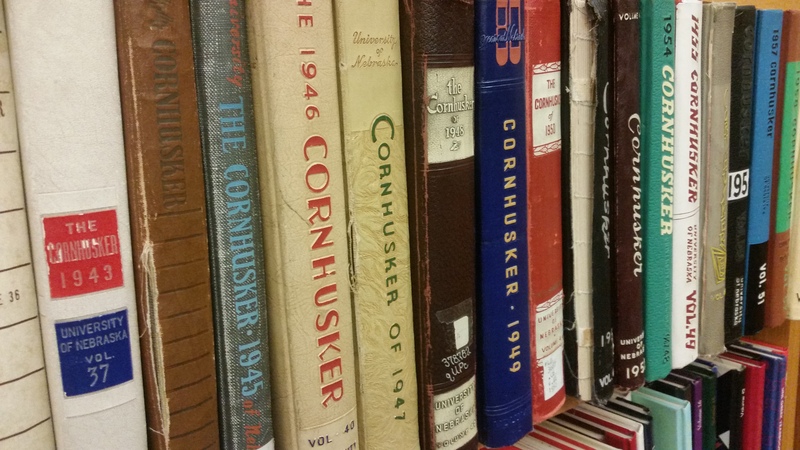 University of Nebraska-Lincoln alumni, students and friends have completed transcribing the last of 37,000 pages of the university's Cornhusker yearbooks, making them accessible for alumni, scholars, genealogists and history buffs. Volunteers from all over the country typed the text from scanned yearbook pages using Transcribe Our Past, a crowdsourcing website created by the University Libraries. The text and images were then combined to create the fully searchable University of Nebraska Yearbooks site. Beginning in 2013, University Archives and Special Collections, the Center for Digital Research in the Humanities, and Computer Operations and Research Services created Transcribe Our Past with the goal of giving volunteers an opportunity to transcribe online historical documents connected to the university. Published from 1884 through 1972, from 1999-2000 and in 2004, the university yearbooks – published first under the name The Sombrero and later as The Cornhusker – were an obvious first choice for the new crowdsourcing site. "We wanted to start with the yearbooks because we believed they would have the widest appeal to potential volunteers," said Andrew Jewell, professor of digital projects in the University Libraries. Jewell said the yearbooks are used daily to answer questions about former students and faculty and past events. Crowdsourcing websites are increasingly used by libraries, digital humanities centers and cultural heritage institutions to allow volunteers to contribute time and knowledge to digital collections and data sets. At Transcribe Our Past, volunteers can contribute anonymously or create an account and track the number of pages they transcribe. By creating an account, transcribers can be identified and recognized for their volunteer work. Sandra Benson, who earned a Bachelor of Arts from Nebraska in 1963 and a Master of Arts from the university in 1977, was the top volunteer, transcribing more than 10,000 pages. Benson, who lives in Omaha, saw the project as a way to give back to the university she loves. Former Nebraska cross-country coach Jay Dirksen was another top transcriber. Having coached at the university for nearly 29 years, Dirksen witnessed dramatic change and growth at Nebraska. Dirksen said he got involved with the project at the suggestion of one of his former athletes and kept at it to learn more about the university's history. "During my time at Nebraska, I was always proud to be a part of such a great university," Dirksen said. "Now that I am retired, the transcription project has given me a way to keep in touch with the university and learn more about our history." Transcribe Our Past is adding more historical documents to the site. Specialized yearbooks, including Senior Class Books and Ag College yearbooks, and letters from Nebraska soldiers who fought in World Wars I and II have recently been added. In 2016, Sheldon Museum of Art completed an online database featuring images and detailed information about each of the nearly 13,000 items in its collection. A $500,000 grant from the National Science Foundation is allowing the Harold W. Manter Laboratory of Parasitology to digitally preserve four major collections of parasite specimens donated to the university in recent years. The Daily Nebraskan, the university's student newspaper, is working to digitize old print editions.